Imagine having your beautifully maintained garden areas and walkways illuminated at night with a custom designed lighting system. Luna Lighting has a team of specialists who have years of experience making outdoor living areas pop. From adding a touch of romance, to lighting up the night for a party, to adding an element of safety for your family when the sun has set, we have the skill and vision to make your dream a reality. Outdoor landscape lighting doesn’t just add an extra layer of beauty to your home’s exterior, it also adds value. Whether you plan on staying in your home for two years or 20, landscape lighting adds value and peace of mind for you and your family. 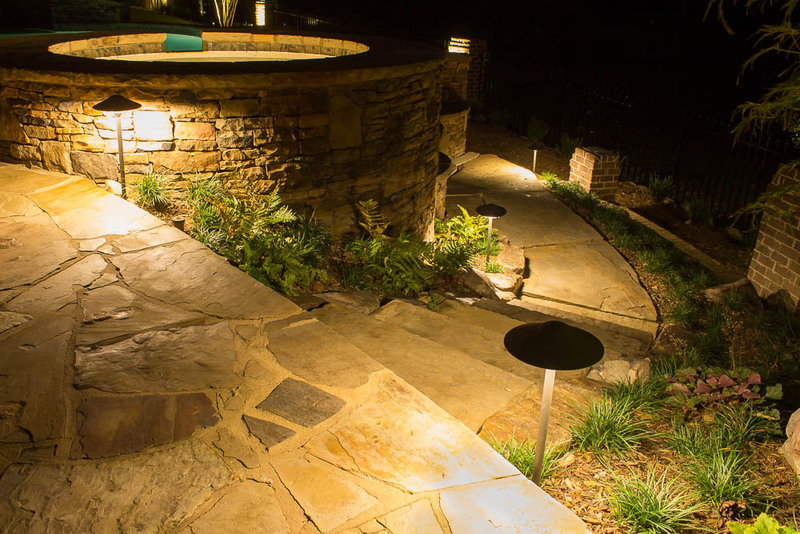 Our Atlanta Landscape Lighting Specialists provide high quality lighting systems and installations. We use only the best fixtures made from high quality materials that are built to last. To protect your investment, we go the extra mile by burying lines at least 6” deep in the ground to prevent damage by lawn care or pets. By using only the latest in LED technology, you can save up to 90% in cost over traditional bulbs, plus get up to five years of bulb life. Luna Lighting specializes in quality residential outdoor lighting systems. Our systems can be installed to light up your Atlanta yard’s landscaping, illuminate a patio, backyard areas, and more. No project is too large for our professionals! 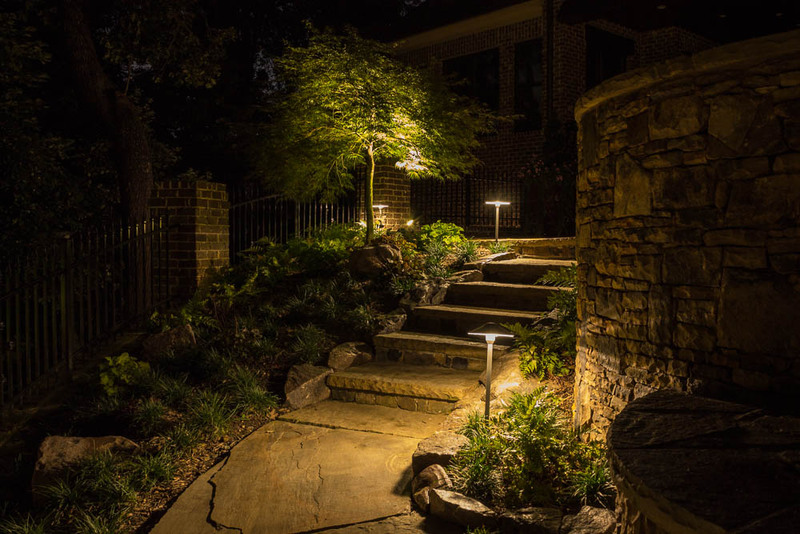 Our skilled technicians specialize in the improvement and installation of landscape lighting in Atlanta, and are pleased to offer their individual recommendations for appropriate lighting to fit your home’s specific needs. Our high end residential installation can add functionality and amazing curb appeal to your home, garden, or yard.